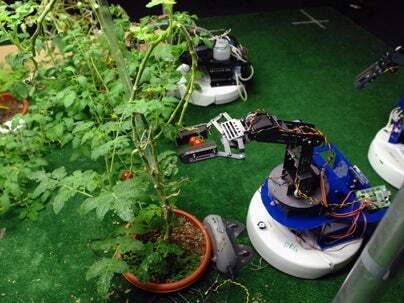 Photo: Attack of the Tomato-Growing Robots! MIT's Computer Science and Artificial Intelligence Laboratory (CSAIL) has outdone itself: it has created robots that can water plants, which signal their thirst via networked sensors, and pick tomatoes. This story, "Photo: Attack of the Tomato-Growing Robots!" was originally published by Network World.